Welcome to the Passing Shots Motorsport Photography website. 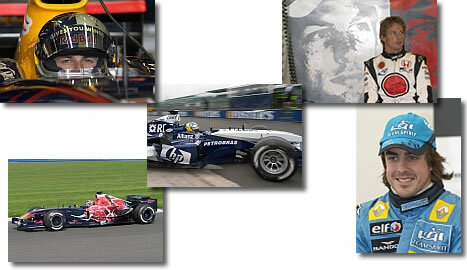 Here you will find Formula 1 photos showing the cars and drivers from 1995 through to the present time. All the images are available for purchase as high quality photos. Additionally high resolution images can be supplied for publications and advertising purposes. If you would like to purchase any of our Formula One photos, please print and complete the order form and then send the form together with payment to the address shown on the form. Please contact us for pricing of high resolution images. In addition to the F1 photos we also have a small selection of signed photos and signed Formula One memorabilia. If there is something specific you are looking for which isn't shown just let us know as we may to able to find it for you. If you have any questions, please send us an . Copyright © 1998-2018 Passing Shots. All rights reserved.